The definitions of music and poetry are similar enough to trouble distinction. In fact, descriptions of poetry often, if not always, include allusions to its musical qualities—its rhythms, its repetitions, its tone, its accents—all words that could also describe a song. And the formal study of poetry, even in our modern privileging of free verse, still includes at least some discussion of prosody, “the patterns of rhythm and sound used in poetry.” Those musical qualities might explain why poetry is often better heard than read, just like the average person would prefer hearing a song rather than reading its notes from a sheet. Given the common ground between the two art forms, it is no surprise, then, that creatives throughout history have combined music with poetry, poetry with music. And that pursuit continues today, whether it is at your local open mic, the Lincoln Center in New York City, or on record. 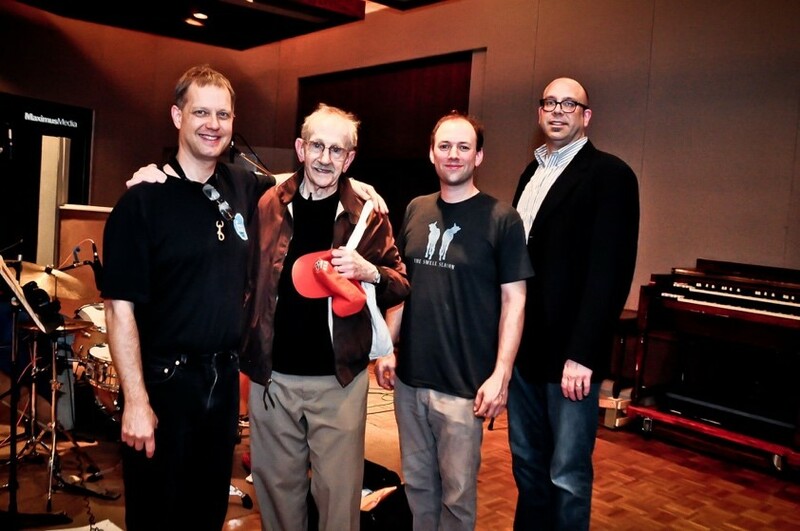 Two recent examples of the latter can be found on The Interplanetary Acoustic Team’s 11 11 (Me, Smiling), conceived of and directed by poet Brian Turner, who uses the written and spoken artifacts of the poet Ilyse Kusnetz, also his late wife; and on The Poetry of Jazz, a collaboration between saxophonist Benjamin Boone and the late poet Philip Levine. Both albums deserve deep and repeated listening, but before doing so, readers, writers, and musicians alike can find great inspiration from hearing Brian Turner and Benjamin Boone discuss their respective projects. OO: To start, will each of you talk about your relationships with the writers whose words grace your albums and why you wanted to make these records? ... collaborate with her. I recognize the natural impulse to memorialize—and that drive exists within me, too—but I’m hoping for something more than that. My intention with this album is to create art that is in response to her work and in conversation with her. At the very root of it all—I want to keep falling in love with her. And I want to share this work so that others might fall in love with her, too. ... So we did the concert and then decided to see what a recording would sound like. That experiment was a success, so over the next three years – almost right until his death – we recorded twenty-nine of his poems with music. OO: In terms of similarities between The Poetry of Jazz and 11 11 (Me, Smiling), on the simplest level, we hear music and the words of a poet. But in many ways, these are very different projects. Benjamin, you’re working with Philip Levine’s completed poems while playing in a traditional, albeit expansive, jazz format. And Brian, you’re sometimes working with Ilyse Kusnetz’s completed poems but also bits and pieces of her words from a variety of contexts while using a wider variety of instrumentation. Will each of you tell us about the freedoms and challenges of your chosen approaches? Ben: Well, you are right, Op. I knew from the moment we began the collaboration that Jazz would be the main musical style. I’m a classical composer and a jazz saxophonist, and Phil had gone to school in Detroit with jazz greats Kenny Burrell, Pepper Adams, Bess Bonier, Tommy Flanagan, and Barry Harris. One of his teachers was Harold McGee, who played with Charlie Parker among many others. He was a true jazz lover who understood and appreciated jazz on a deep level, so jazz records, musicians, and concerts were what we talked about. It was our common thread. So I knew a jazz quartet would be the core ensemble. But within that restriction was freedom to alter the sound world and the style for each track to form an appropriate setting for each poem. I didn’t feel restricted at all. The challenges were all compositional – how to amplify the meaning of the poem with music or how to sustain an emotion for a really long time – not stylistic. I am a huge fan of composer Igor Stravinsky, and he supposedly said, “In music, freedom is found within the bounds of restriction.” I think the tracks on this disc demonstrate this quite nicely. Brian: In the long shadow of September, deep in the waves of grief, I tried to find and preserve every image and sound file of Ilyse that I could find. I rummaged through closets and boxes, old drawers that hadn’t been opened for years. I reached out to friends and family to gather more. I remember sitting in a window seat and viewing America from 30,000 feet, and the earliest idea for this album came to me…. Years back, Ilyse wrote a poem called “Before I Am Downloaded into a Most Excellent Robot Body” for her first collection, Small Hours. As part of her larger work, she’d continued to write poems in this vein, but she wasn’t able to complete that specific project (which we often referred to as ‘robot’ poems). I decided to listen to Ilyse over the wide arc of recordings (from poetry readings, radio appearances, interviews she conducted as a journalist, and more) in order to isolate her poems and conversations connected to one basic neighborhood of ideas: cybernetics/robotics/uploading of human consciousness/the cosmos. Although it sounds like a full-on Sci-Fi thing, I needed to listen beyond the circuitry and technology of it all because—and this isn’t overstating it—Ilyse’s words trace a spiritual journey into the great mystery facing us all. That’s the very core of this album. The primary challenge was to create a sonic landscape for her words to navigate and explore. OO: Aside from your primary collaborators, Ilyse and Philip, can you tell us about those who contributed to your respective projects and why you chose them? Brian: The core of the band includes Benjamin Kramer, who is a jazz bassist and the engineer on this project. Kramer’s contributions and creativity are evident in every note on the album, and his keyboard playing also added sunlight where it was needed. Jared Silvia (aka Pressurewave) created modular synth parts that gave us a certain ‘feel’ for the album. I love that Jared often creates music by starting with a signal, splitting and amplifying it before applying parameters to affect the waveform, pitch and timing—to create electronic music that’s hand-crafted directly from Jared’s imagination. He’s become a kind of mentor to me in the field of electronic music. Sunil Yapa brought in guitars and pedals with such heart to the playing, such gorgeous sonic textures, that collaborating with him must be recognized as a gift from the universe. ... Arlo Cherry even added the sound of his heartbeat while still in his mother’s womb. On one of the songs, I asked many of Ilyse’s closest friends and loved ones to record themselves saying “one” and “zero.” I then worked with Benjamin Kramer to create a kind of binary chorus—spreading their voices out across the audio spectrum and anchoring it into the rhythmic patterns of the song. There is much more to talk about, of course, but the main point of this is to express how many great souls have kindly joined in to collaborate and create something of beauty, something in search of the profound and the sublime, and all of it in conversation with Ilyse. Ben: Well, this question piggie-backs on the last one, because I used several guest musicians to help each track sound unique and add to the core sound of Phil with a jazz quartet. For example, I brought in a second pianist, Craig von Berg, for specific tracks because I think he plays the piano as an orchestra, doing things like adding crazy piano sounds to “A Dozen Dawn Songs Plus One.” I ended up using three bass players, two drummers, and two pianists, all in an effort to make the sound of each track unique. I also added German violinist Stefan Poetzch to both “Dawn Songs” and “Our Valley.” In “By the Water of the Llobregat,” I used only solo piano and wrote out every note. 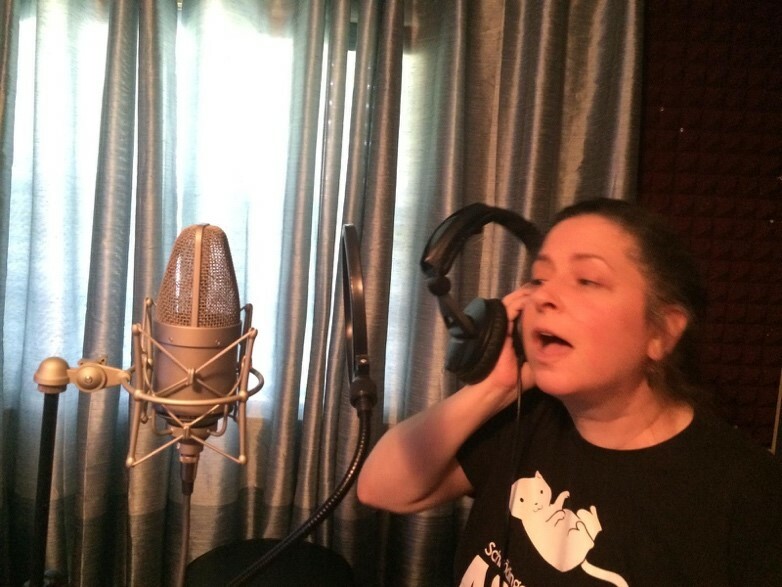 Singer Karen Marguth added vocalizations to “Gin” and “Music of Time.” My sons, Atticus and Asher Boone, joined me to form the backup “horn section” on “I Remember Clifford,” and Max Hembd added harmony parts on several tracks. ... Clifford Brown. I recall listening to what I thought was the final version of “I Remember Clifford” about trumpet legend Clifford Brown. I thought, “It’s just wrong for me, a saxophonist, to be taking the lead on this track.” So my producer extraordinaire Donald Brown got famed New York trumpeter Tom Harrell, who was deeply influenced by Brown, to do it. That logic extended to Chris Potter, who gets the big sound of Sonny Rollins, replacing my playing on “The Unknowable” about Rollins’ hiatus from the public eye. Greg Osby, who sounds like what Charlie Parker would have sounded like had he lived longer, replaced me on “Call It Music,” a poem that recounts a story related to Levine by his teacher, Harold McGee, the trumpeter at the famed Dial recording session of “Lover Man,” where Parker was intoxicated. And lastly, Branford Marsalis, who I knew through a connection with the New Century Saxophone Quartet’s Steve Pollock, recorded “Soloing,” in which Levine compares his aging mother’s isolated existence to a Coltrane solo. It was tempting to have them play on more than one track, but that would have defeated my primary reason for having them on these particular tracks. Donald Brown and Mike Marciano, the primary mixer, helped create unique sounds for each track in the mixing process too. All these folks chimed in with ideas and helped shape what you hear on the disc. On Volume II, you will be able to hear more of our freely improvised playing, and you can hear the synergy between the band and Phil even more. OO: What records that combine music and poetry—or even more mainstream records—inspired you or at least resonated in the back of your minds while writing and recording these albums? Brian: Some of the influences might include The Flaming Lips (especially Yoshimi Battles the Pink Robots), David Byrne (The Forest), along with, perhaps, Philip Glass, Thievery Corporation, Radiohead, Rjd2, Iron and Wine, Andrew Bird, Damien Jurado, Beck, Ali Farke Toure, Pink Floyd. Maybe some Belle and Sebastian. Maybe some Richard Buckner. A lifelong love for The Beatles must be evident, too. Here’s an example, diving into a song: Part of the modular synth line near the beginning of “Goodbye Earth, Goodbye Solar System” reminded me of Bowie, and that spurred me to add an acoustic guitar to try to get a chunky pick strum in the middle of the song—to get a sound along the lines of “The Bewley Brothers” (from Hunky Dory). I’m playing a nylon string acoustic there, and Rose Parkington (of The Parkington Sisters) doubled the part with a steel string. Thematically, Ziggy Stardust surely played in the background of my thoughts, as it’s a foundational album for me, though it wasn’t an overt presence in the thought-process behind the album. Jared Silvia has some Rodelius influences, along with many artists from the earliest days of electronic music and the rise of the synthesizer. I didn’t learn of Rodelius until after the album was completed, but as I began to experiment with creating modular synth parts myself, I picked up a 4 CD boxed set of music—Popular Electronics: Early Dutch Electronic Music from Philips Research Laboratories (1956-1963). I especially enjoyed Tom Dissevelt’s work, and there’s a musical nod to his work hidden in one of the songs. When I was younger, I wasted many years nurturing a prejudice against synthesizers. I’ve definitely evolved away from that stance! Listening to the work that Benjamin Boone has done with Phil Levine will surely influence my own thinking as I lean into the next album with Ilyse, too. The Poetry of Jazz is a kind of masterclass in collaboration. ... But frankly, the lessons I learned from many of them is what I did not want to do, rather than serve as model for what I wanted to do. To my musical ear, the music was all too often reacting to surface-level action of the poems – doing “word painting.” In others it sounded to me more like a books on tape – the music was only an underscore to the reading. That is okay, and I know many people like many of these collaborations, but it’s not interesting for me as a composer or a performer. Instead my inspiration musically was from the jazz canon. OO: What were the guiding questions or themes you had when you began these projects? Ben: I decided early on that if I were to do this, my self-imposed challenge would be to find a way music could enhance the central meaning of each poem and have the music be an equal partner in communicating that emotion. The listener must experience the words in a different way than if it were a reading. One of my thoughts was that music can give the listener time to contemplate what they have heard – time for it sink beneath the surface – time for the listener to feel on a deeper level what is being expressed. This is especially true in poems like “By the Waters of the Llobregat” about genocide (listen to the long sustains in the piano), or “What Work Is” (which compels us to think of lost opportunities with loved ones), or “A Dozen Dawn Songs Plus One” (aid in digesting the horrid existence of workers). If the music doesn’t enhance the poem and give it added value in some real way, and serve as an equal partner, then to me it’s not artistically interesting – at least for the duration of an entire CD. Another guiding question for me was, “What can I learn from Phil Levine?” I love interdisciplinary collaborations and always grow from them, and there I was living only two miles from a Pulitzer Prize winning poet. So I wanted to learn and grow from making art with Phil. And indeed I learned a great deal about truth-telling, emotional honesty, flow, pacing, and mostly being confident in myself as an artist. The famous opera composer Jake Heggie says that successful collaborations stem from the stakeholders consciously drawing from the same emotional well. Phil and I didn’t discuss this but we both have a true love of music, a respect for jazz and of the emotional worlds it creates, and a love of the music of words, and so we drew on that throughout the process. I think the most obvious choice made, from the very beginning, was not to include drums on the album. The storyline of the album takes place in the cosmos, in space, and I think of space as a cold and digital landscape—while drums are rooted in the earth. We do cheat throughout the album, but hopefully in unusual ways that remain true to this initial rule to exclude drums. Jared crafted electronic drum-like sounds in the first song, but that’s also the song that welcomes the listener in and then slips into the digital world. ... The binary code she mentions thus became my overall structural guide. There are 11 songs on the album, and the last song is 11 minutes, 11 seconds, and 11 milliseconds long. OO: What did you discover in the process of making these records that surprised you? Brian: I was surprised to discover similarities between painting and songwriting. Many of the songs on the album, for example, began as layered modular synth drone pads. Layer by layer, we built the songs up in the studio, and some of the songs shifted and changed over time. It’s reminiscent of a painter priming a canvas, with that initial treatment serving, in some ways, as the early oxygen or atmosphere of the visual field that will only fully appear after several more layers are added. Similarly, I’ve learned how to erase parts of a song and then build it back up again, as a sketch artist might do, working from circles and cones until the fully-inhabited image emerges, clear and defined. Ben: Well, firstly, I discovered even deeper meanings to Phil’s poems. They are like Baroque music – the deeper you look, the more you find. I discovered ways music can interact with poetry to enhance the poetry. Like Brian, I had to throw away lots of music I really liked in the best interest of the poem. But mostly, I discovered, and this is directly from my interactions with Phil, a level of self-confidence that had been lacking. Phil taught me so much, not only about poetry and how to be a creative artist, but perhaps more importantly to tamp down my inner anxiety and insecurity and believe in myself and my creativity. This gave me the courage to ask top musicians in the world to collaborate on the project and to really push this CD. OO: Since you’ve both also written and recorded albums that were not collaborations with poets, how would you compare those experiences with the writing and recording of these new albums? Brian: I have a very limited experience in this process, nothing along the lines of the wonderful range and catalog of music that Ben has created and composed, but this current project is definitely different from work I’ve done before. In previous projects I’ve been a part of, I mostly participated in riff-based, music-driven songs, with the words overlaid upon the music. The process for this album was so different. And I think that’s crucial. No matter the medium, we often need to create new inroads into the work before us. This forces us to abandon the ‘moves’ or ‘go-to’ approaches that have become part of our process. It might not work out, but I’ve found this process allows me to meditate, musically, in ways I couldn’t otherwise do. If we change the process, it should change the music that rises out of that process. It reminds me of Robert Frost: “No surprise in the writer; no surprise in the reader.” By approaching the art in this new way (for me), I create a dynamic that contains a greater chance of providing surprise (for the musicians involved and, hopefully, for those who listen to the music). Ben: Well, what Brian says is so true. If you give yourself a unique creative challenge, then you have to think in new ways to make that work, and hopefully that makes the end result fresh to both you and the audience. So though I’ve written for opera, orchestras, jazz singers, music theater, classical instrumentalists, and jazz groups, this was a unique and special project. I think it is fresh. I had to think very hard about leaving space for the words to be heard, and how to keep energy going in a different way. How is this for a challenge? : Write music that allows people to process genocide, or the horror and violence of race relations. You have to think in new ways. OO: How do you think the writing and recording of these new albums will influence your future writing and recording that does not combine music with poetry? Brian: We’re already at work on the next album, and it appears that we’re continuing to ‘treat the canvas’ with layered drone patches first. We’re creating the acoustic space, the atmosphere, so that Ilyse can walk out into it—with her voice leading us further in. To answer the question, though, the idea of creating an atmosphere is now central to my thinking about studio-based music projects. It’s about space, which is not synonymous with a void. Space has vibrancy, frequencies, layers. When the guitar and the human breath fall into silence at the end of the song, for example, there’s often a kind of sound-field that isn’t silence. Ambience. I’m curious about the properties involved in this, and its connections to mood and meaning. At a deeper level, one lesson rings clear in the making of this album. Music must rise from love. Every decision in the creation of music and art must be connected to this initial source. Otherwise, we risk skimming the surface of experience. Ben: Great question and one that I probably won’t be able to answer until I look back in five years and have a clearer perspective. But I suppose I am even more aware of the underlying intent behind a song, sort of like what Brian is talking about when he spoke of creating a positive space – a space full of potential -- and also what he said about the music coming from a deep emotional place. Right now, I am in Ghana, immersing myself in the world of complicated polyrhythms, which is a huge challenge to me. What they can do blows my mind. How they think of music and perceive beat is so different than how I do. I can’t see beyond that right now! OO: Since you are both connected with Fresno, which has such a rich literary history and which is such a unique place that is represented in its literature, in what ways does place—the location where you created or recorded these compositions or even the locations addressed in the words—factor into each of these albums? ... just like anyone else on planet Earth. It’s a powerful conviction that’s grown to saturate my DNA as an artist. Ben: I think the clearest example on this project is the poem “Our Valley.” My challenge was to somehow create the sense of expansiveness, space, and searing heat Phil describes so well. I’ve lived in Fresno eighteen years now and know exactly what he was trying to show. I also intimately know the music of the jazz greats he mentions, so I was able to channel those sounds, and have been in factories, and have worked construction, washed dishes, dug ditches, and other hard-labor jobs, so I think I was better able to channel those feelings into the music. At its core, this is a Fresno CD. It was born from a fundraiser for Fresno Filmworks; it was championed by KFSR, local art critic Donald Munro, former Fresnan Sasha Khokha, and Valley Public Radio’s Joe Moore; it was supported by Fresno State and the Dean’s Council of the College of Arts and Humanities; and it was recorded at Maximus Media in Fresno. Also, almost everyone on the CD lives or lived in Fresno. Phil and I performed there for local audiences at the Rogue Festival, and a huge focus group of Fresno musicians and poets critiqued the project all along the way and helped shape it. Fresno knows hard work, and hard work was put into the project by the people of Fresno. It is in every track. OO: Because the sounds of words matter so much, particularly for poets, in what ways did the notes and sounds you chose to play represent the words in conversation with the actual words? Ben: I mentioned before that I hear speech as music and that my dissertation analyzed speech as music, so this is a topic near and dear to my heart. I did not transcribe Phil’s recitations into music for this project, but I could tell that Phil, because he was a musician at heart, altered his tempo, dynamics, timbre, and pitch contour to match the music of the band. And the musicians instinctively did the same. You can clearly hear this on all tracks, but especially on the track “Gin.” Compositionally, on all the tracks, I used the tempo I thought appropriate and gave Phil clear directions on when to start, when to pause and for how long, and places he should listen for musical cues. If you want to blow your mind, read about the psychological phenomenon of rhythmic synchrony. I think our tracks demonstrate this phenomenon quite well. We were in total sync in the studio, so we imitated each other naturally. ... that I wrote shortly after Phil died, and is dedicated to his memory. From the recordings made for The Poetry of Jazz, I took excerpts, grouped them by topic, and put them together to form a narrative about water, life, and the environment. Here is a link to that video: https://www.youtube.com/watch?v=mQ4KUSQYvSk. In this piece, you can hear Phil’s voice used literally like an instrument. Brian: Early on, engineer and bassist Benjamin Kramer and I realized that Ilyse’s voice, in terms of the album’s narrative, would require a digital, cybernetic quality to it. That choice is completely connected to content. And so we experimented, shifting between different sound aesthetics, most often opting for a slightly grainy, static-filled, transmission-like quality that echoed work Jared and I were doing in some of the modular synths used in the songs, for example. That said, Kramer mentioned something during the recording of the very first song that stuck with me and became one of the signature approaches we used throughout the album. He said that he liked the merging of digital music with non-synth instruments, which brought a kind of warmth into the song overall. I made that approach our ethos from that point on. Again, this decision was based on the storyline within the text/language for the album—the merging of the human into a digital life. OO: Why is it important for these types of art—music and poetry, combined or separate—to continue pushing the boundaries of traditional forms? Brian: The collaboration between music and poetry is an ancient one, of course, and it’s deeply rooted in the human experience of sound and meaning. I wasn’t composing with an audience in mind, at least not at the beginning. And so, my thoughts early on were nearly all focused on collaborating with Ilyse and figuring out ways to nurture that collaboration. Ben: Steven Johnson, in his book How We Got to Now, discusses the conditions necessary for life to have evolved and for good ideas to take root. One is that ideas need to clash. A proper environment needs to be created where elements rub against each other. This is how I view interdisciplinary collaboration. It is fertile territory. So I am in no way trying to be a radical and push any real boundaries, or even thinking about whether the forms I am creating are new or not. These are just natural outgrowths of thinking of the artistic creation. One of the reasons I am in Ghana is so my perspectives and biases and preconceptions can rub up against another culture so I can become more self-aware, more empathic, and grow. I mentioned before that I am in a group now with xylophonists who think of music in a completely different way than I do, and I love it. My head hurts as I try and play what they play, and I am better for it. I think it was Oliver Wendell Holmes who said, “A mind expanded can never retract to its original dimensions.” Well, interdisciplinary collaboration expands my mind and I hope it never retracts. As for influencing the art form, it would be cool to me if more folks did interdisciplinary work. In fact, several poetry and jazz projects have been released recently. Steven Johnson, the historian, would say this is how ideas happen; many people get the same basic idea at once. Go figure. OO: Can you tell us more about how you plan to explore the connections between music and poetry in the future? Ben: There are fifteen tracks I recorded with Phil that are not on The Poetry of Jazz, and these, as well as three instrumental versions of these tunes, will be released on a Volume II. For another poetry-music project, I’ve recorded with Fresno State colleague and US Poet Laureate Juan Felipe Herrera, as well as Marisol Baca, Lee Herrick, and Dustin Prestridge. That was an amazing experience, and we will release that on CD, tentatively titled The Poets Are Gathering, at some point. Congolese poet Fiston Mujila Fiston, now in Austria, heard The Poetry of Jazz, and we are hoping to collaborate at some point. I love doing these type of projects, and I hope there will be many more. Brian: I can’t wait to hear Volume II! The music that Ben has created with Phil is a great gift to us all. I studied poetry with Phil at Fresno State, and I remember him asking for my headphones to hear what I was playing on a Walkman (far too loud, I’m sure) and Phil immediately pulled the loud rock away from his ears and reminded me that hearing was crucial to a poet’s craft. The relationship between poetry and music was so clearly evident, just as Ben says. Levine was born into the age of jazz and matured as an artist at the same time that jazz developed and matured as an art form—and so this collaboration between Boone and Levine has a kind of magic to it that’s steeped in a lifetime of deep appreciation and love for these two art forms. Herrera? Baca? Herrick? And more? Amazing. Can’t wait to hear it all. As I mentioned, the next album is under way, and I’ve gone back to repeat the process of listening to Ilyse. I’ve brought in a new instrument for myself (a Resonant Garden from Folktek), and I’m sure Ben and Jared and the rest of us will add a variety of instruments to the album before it’s complete. My job is to bring in Ilyse’s words and story now that we have drone pads in place. I’ve already recorded two harpists in an Irish chapel, along with another frequent collaborator—opera singer Sarah Cossaboon. The second album will chart a lyric journey to distant moons and planets. The Interplanetary Acoustic Team is set to explore the flora and fauna of these different planets, sending the album back to us as a kind of musical lens through which we might experience Ilyse’s ongoing discoveries and experiences. The Interplanetary Acoustic Teams’s 11 11 (Me, Smiling) will be available on July 13, 2018: https://interplanetaryacousticteam.com/payload. 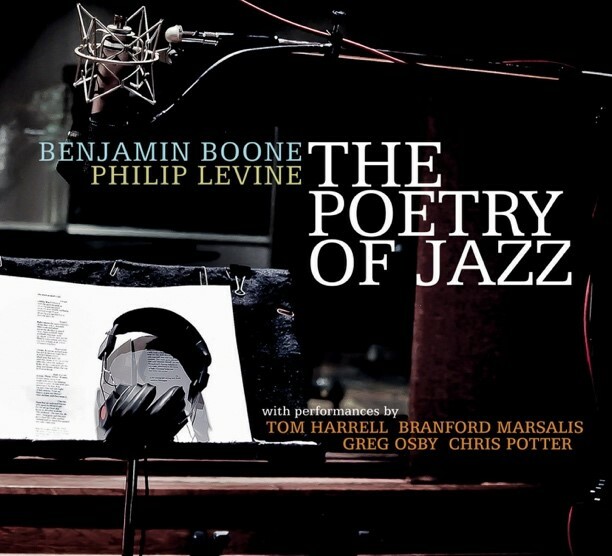 The Poetry of Jazz, featuring Benjamin Boone and Philip Levine, can be found at https://www.benjaminboone.net/product/the-poetry-of-jazz/. Brian Turner is a poet, essayist, and musician living in Orlando, Florida. He recently edited an anthology called The Kiss: Intimacies from Writers for W.W. Norton & Company (2018). He is the founding director of the MFA program at Sierra Nevada College. Benjamin Boone is a saxophonist, composer, and theorist who has taught at California State University, Fresno since 2000. He is currently serving as a U.S. Fulbright Scholar to the University of Ghana. Volume II of The Poetry of Jazz with Philip Levine will be released in January 2019 on Origin Records. Optimism One’s essays have been published by The Normal School and In Fact Books, among others. 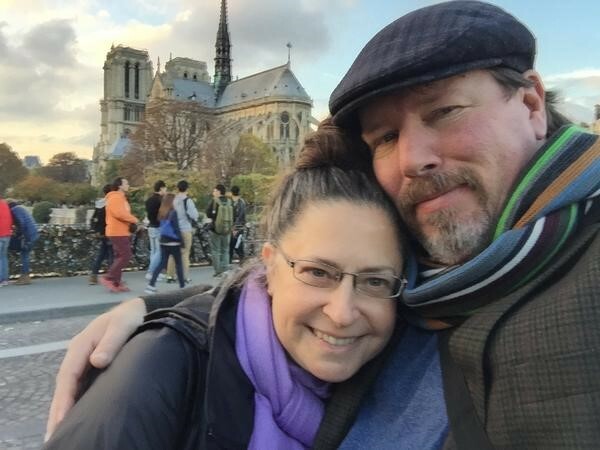 He earned his MFA from Sierra Nevada College and teaches writing full-time at Modesto Junior College in California. He’s currently working on a memoir called Goodbye, Suicide.